Dr. Richard A. Ajayi earned his Ph.D. in Business Administration from Temple University. His research interests include international financial markets, international business finance, exchange risk management, emerging market issues, and econometrics of financial markets. He has published scholarly articles in the Journal of Financial Research, Review of Quantitative Finance and Accounting, Journal of Business Finance and Accounting, Pacific Basin Finance Journal, Global Finance Journal, Applied Financial Economics, and many other prestigious journals. He is an Associate Professor of Finance as the University of Central Florida, and an Honorary Distinguished International Faculty and Member of the Advisory Board at Alliance University, Bangalore, India. He is a consultant in international finance, especially on documentary credits, with clients including small, medium and large companies including Siemens Corporation. 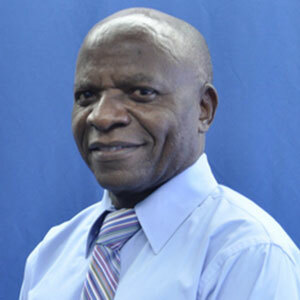 He also serves as a consultant and grant evaluator for Universities on International Business Grants. He is Editor-in-Chief, Global Journal of International Business Research, and Associate Editor for African Finance and Economic Development as well as the Alliance Journal of Business Research. He has served or continues to serve on the board of a number of companies including Abela Pharmaceuticals Inc., Surgilight Inc., Amicable Properties, LLC, and Innovative Biodefense Inc. He currently serves as Vice president for Tanner Crossing Home Owners Association and president for the Club at Orlando Condo Owners Association, Orlando, Florida.